Eyeshadow primers are one of those things that I think anyone who wears eye makeup should take the time to do some research on. I encourage everyone who is just starting to dabble in the world of makeup to purchase a good eyeshadow primer because it makes a huge difference in the way your makeup applies and lasts. 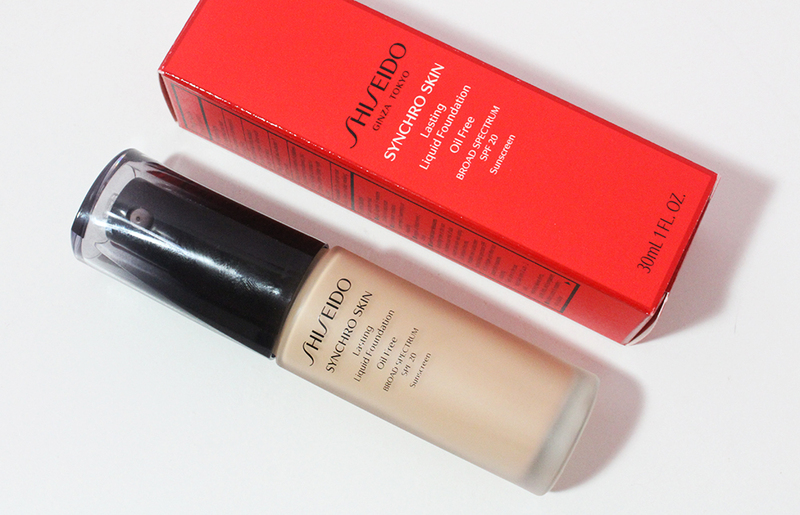 That being said, not every primer is made equal. I have accumulated quite a few of the more popular eyeshadow primers available on the market right now and put them to the test. I'll briefly sum up my feelings on each of them and recommend my favorites of the bunch. Urban Decay Primer Potion - The infamous "UDPP" will forever hold a special place in my heart (or vanity I should say) because it was the first primer I had ever purchased and the one I use the most often. To be perfectly honest, I use this 95% of the time just because I want to desperately want to finish the tube and move on to my other primers.... That being said, this stuff lasts forever (I have the XL tube though) and is totally worth the $19 price tag. After about two years of using this product, I am no where near to being done with it and while the consistency has changed a bit and become less watery, it is far from being dry. 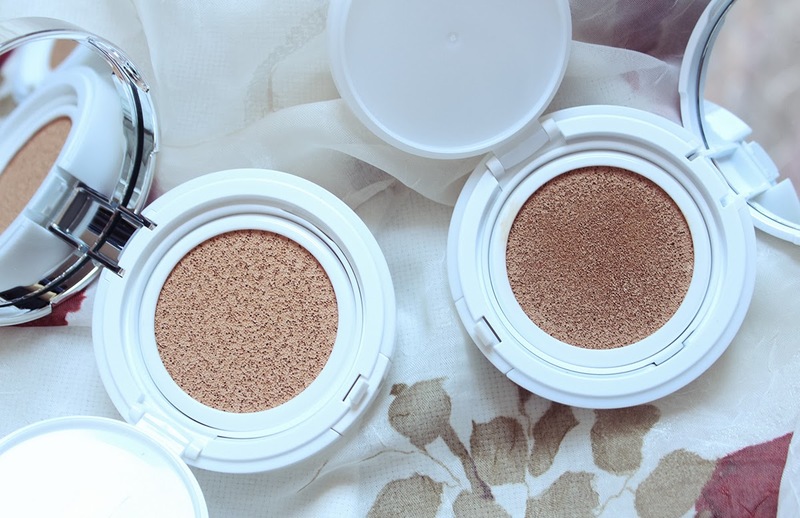 This primer easily spreads onto my lids and I have no issues blending shadows over it. After a whole day (around ten hours average) of wear, my shadows and liner are usually still going strong. I highly recommend this primer as it has yet to fail me (well the packaging is quite fail but now they've changed it to a better squeeze tube)! Too Faced Shadow Insurance - This is pretty much the same as the Urban Decay Primer Potion only it feels a bit more dense and has a texture like silicon. This almost feels like a face primer. This is also packaged in a squeeze tube and is a dollar cheaper than the Urban Decay primer at $18. I have heard that Shadow Insurance has a tendency to separate after a long time but I have yet to see that happen after owning this tube for over a year. Benefit Stay Don't Stray - This is touted as both an eyeshadow and concealer primer. Why does one need to set their concealers? Beats me. But as an eyeshadow primer, this is by far a decent one. The color of this product is an opaque "skin tone" shade which evens out the eyelid area if you have discoloration and redness around that area. However, skin tones are relative and although Stay Don't Stray looks invisible on my skin, it would probably look too dark or too light depending on if you are very fair or very dark. This primer leaves a very matte and dry finish so eyeshadow does not adhere well to the skin. Also, at $26, this is one of the pricier primers on the market for what it is. The packaging features a pump but it dispenses way too much product and is hard to control so it definitely makes this an unrecommended product. Smashbox's Photo Finish Eye Primer, which I used up awhile ago, is very similar to Stay Don't Stray so I cannot recommend that either. Nars Smudgeproof Eyeshadow Base - This is one of the newer eye primers available to us and it is a good one. Many credible beauty fanatics have already made this their HG (holy grail) eyeshadow primer and I can see why. This is a white base which becomes translucent once blended into the skin. It has a bit of tackiness to ensure that shadow and liner stick to your skin and stay there. This primer is $24 so it is less bang for your buck compared to Urban Decay and Too Faced because it contains less product than them as well. In my experience, I have not had any more success with the Nars primer compared to the others so I cannot say that it is any better. Great review on so many primers. I have tried every primer you listed except for the Nars. 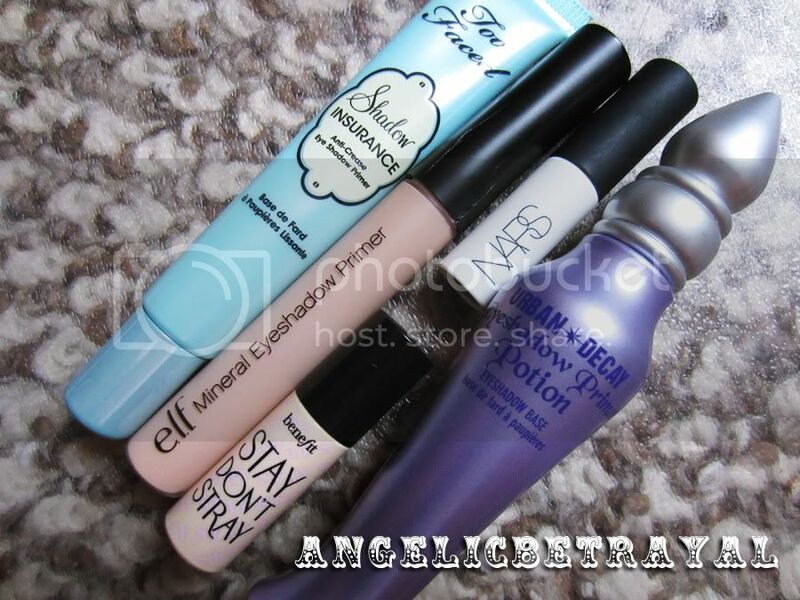 I love the ELF one for everyday & UD & Benefit's for going out at night. Thanks so much for posting these, I love how sensible your recommendations are! I'm currently using Benefit F.Y.eye, which was Stay Don't Stray's predecessor, and it has a similar dry texture that makes some eyeshadows stick a bit worse than onto bare skin. Can't wait to use that one up! can't wait to try the urban decay one!!! i think it'll be esp helpful w/ white eye shadow which is already so ephemeral and light! Rocaille: You're very welcome! I'm the same when it comes to not-so-great products; I can't wait to finish them off! Am I weird for not wearing eyeshadow primer? I've been told by a MUA that a bit of foundation or concealer is basically the same, and it actually works great for me!